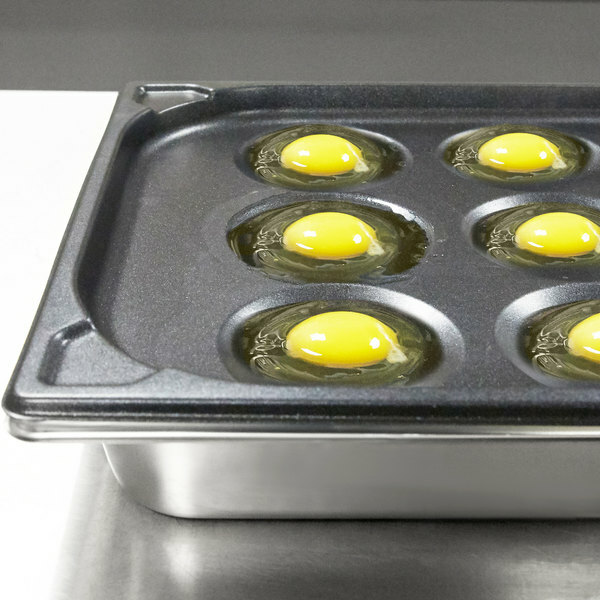 As the ideal pan for poaching multiple eggs, the Vollrath 42100 12 cup SteelCoat x3 non-stick egg poacher pan features Vollrath's innovative SteelCoat x3 non-stick coating for longer life, superior durability, and advanced release. 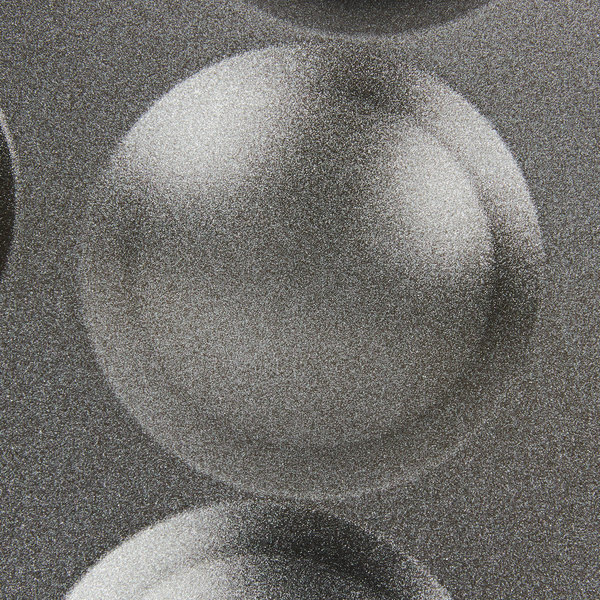 Applied with an exclusive curtain-coating system, this triple-layer SteelCoat x3 environmentally-friendly coating lacks PFOAs, which prolongs the pan's wear-resistance by 25% by using smaller reinforcing agents along its surface for a smooth finish. 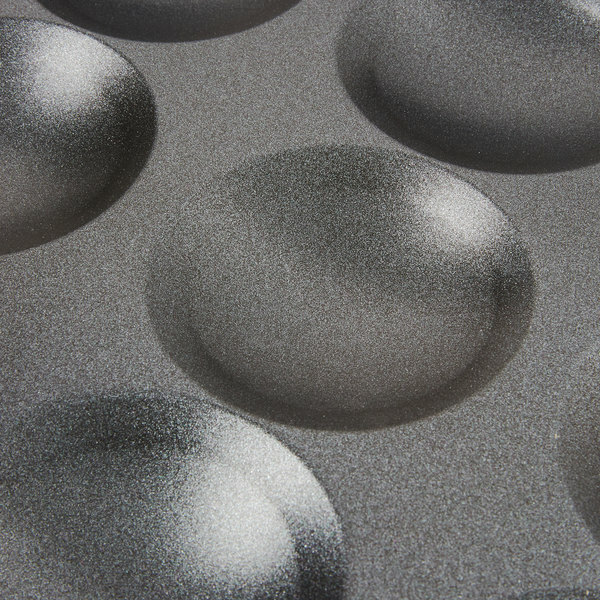 While shielding against scratching and tarnishing, this coating simultaneously prevents the eggs from bonding with the pan, reducing the need for using oils and fats during cooking. 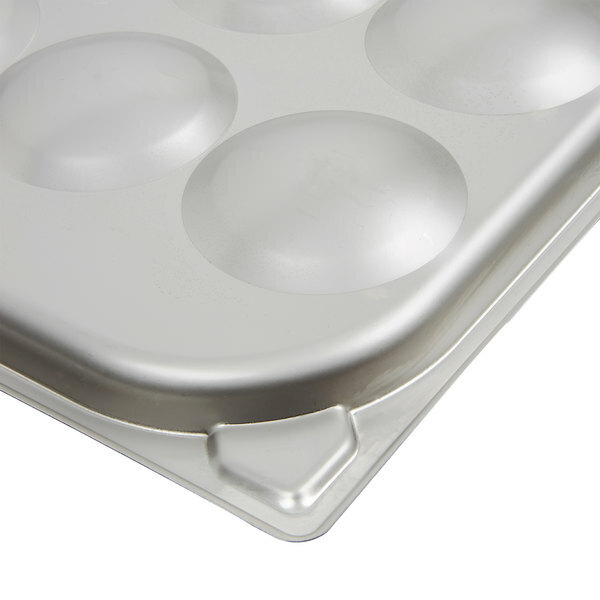 As a result, the eggs will slide from the pan without clinging. 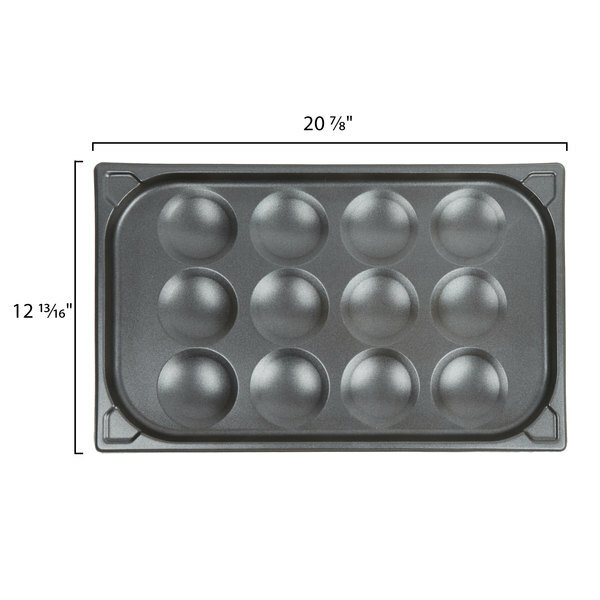 Made of 22 gauge, 18-8 stainless steel, this egg poacher pan is great for anywhere from a cafe or diner to a formal restaurant or catered event! 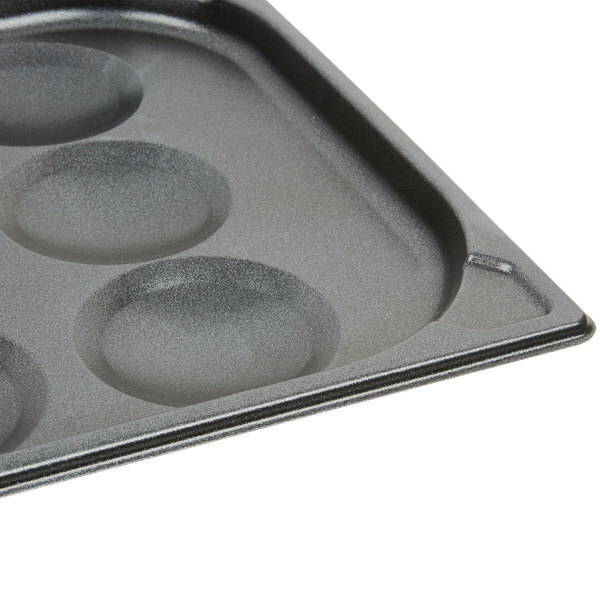 It's perfect for use in steam and combi ovens and fits in any full size 12" x 20" steam table pan, or a hot or cold well with the same opening. 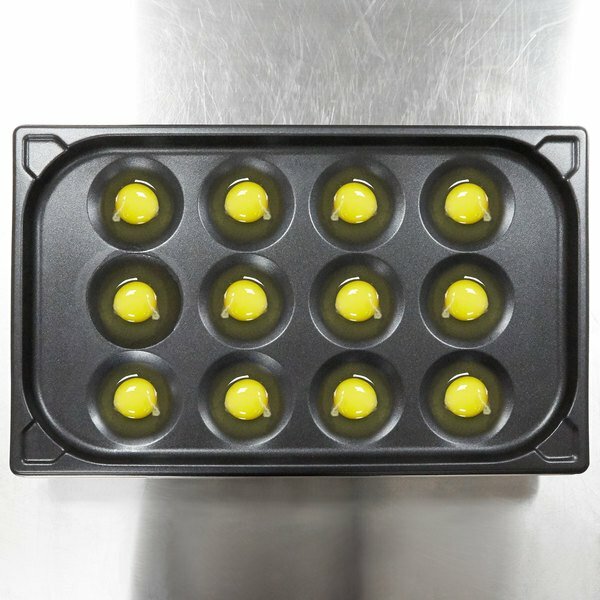 This is so easy to use and clean and makes perfect poached eggs. 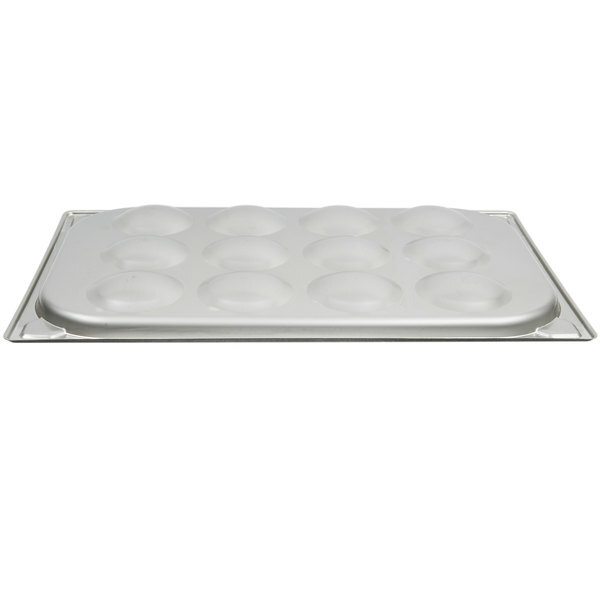 It makes a large brunch crowd a breeze to cook for. Just have to be very gentle setting it down once cooked. 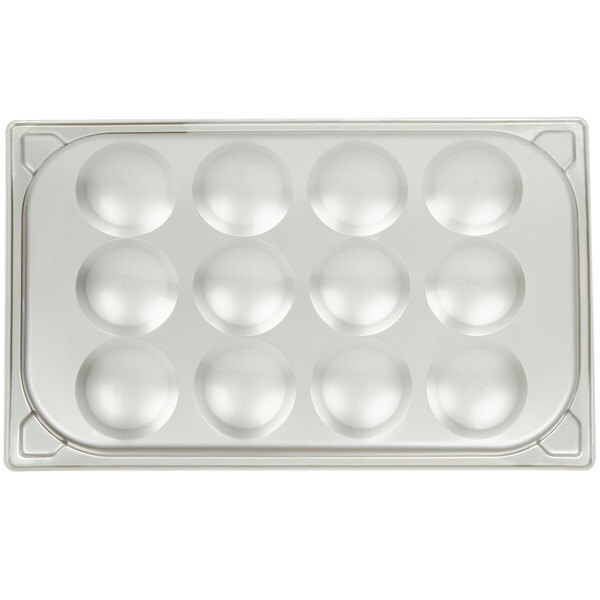 The Vollrath 12 cup non-stick egg pan is made of stainless steel and has a non stick coating that allows for eggs to slide off with ease. Easy clean up. 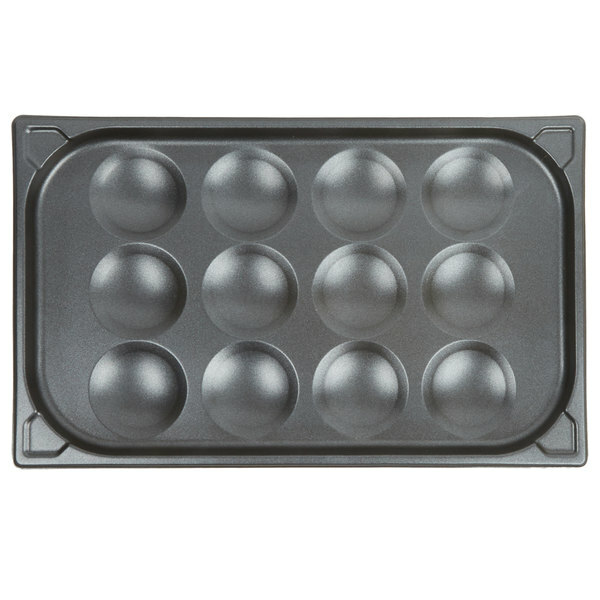 This egg poacher pan is great. 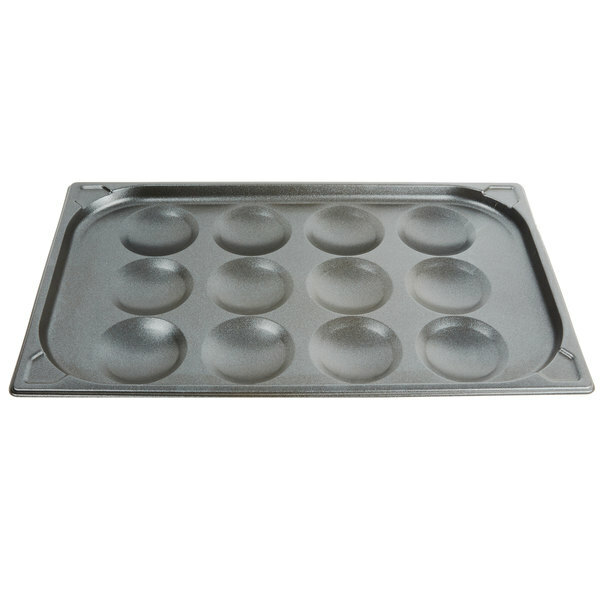 You can stick it in a steam oven quick. 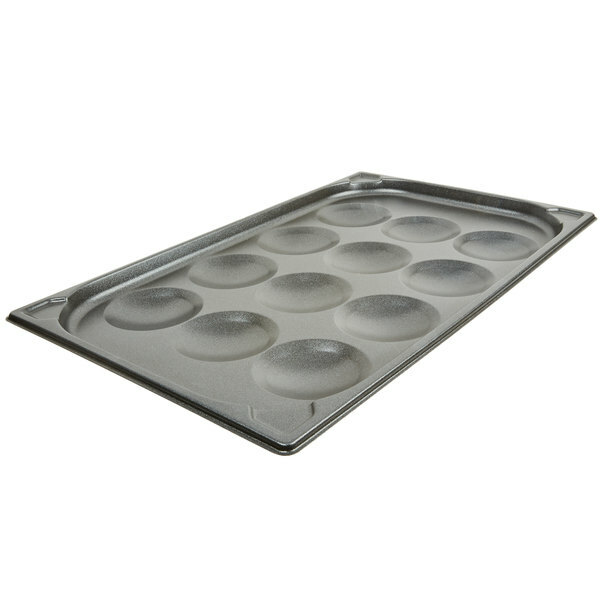 It's non-stick and the egg releases perfectly with out any trouble.